Choosing between a beautiful two-door coupe and a boring four-door sedan is an eternal battle between the heart and mind of a forty-something year old petrol head (a decision most motorcyclists are all too familiar with). With two kids and a spouse who doesn't share the enthusiasm about spending Rs 60+ lakh on what they think is an impractical, inefficient alternative to the older diesel Mercedes-Benz C-Class parked in the garage. 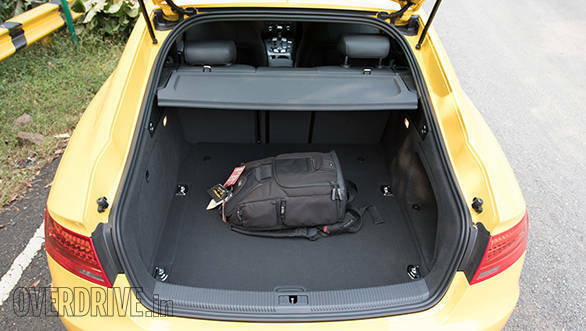 And that's where the Audi S5 Sportback comes in. It's not too large, has four seats to keep your beloved happy, it's comfortable and easy to drive, it looks pretty darn good and most importantly, it has that sweet-sounding 3.0-litre V6 that doesn't fail to entertain. In essence, it is the metaphorical bridge over troubled waters. Let me elaborate. 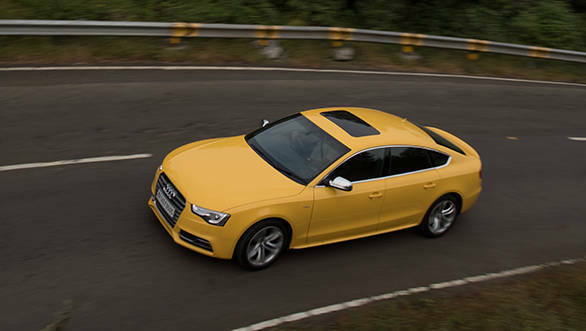 The S5 Sportback gets 333PS supercharged 3.0-litre V6 that puts out 440Nm of torque. 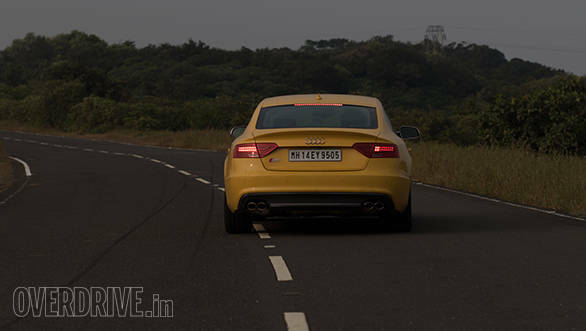 Audi claims a 0-100kmph time of 5.1 seconds, which feels quick, but not snaps-your-neck kind of quick. The torque kicks in at close to 3,000rpm and from there, it's a quick few seconds up the rev-counter to hit 6,000rpm where the engine redlines. The speedometer, meanwhile, makes a steady climb to 150kmph before you realise how fast you're going thanks to the slick 7-speed S tronic transmission. 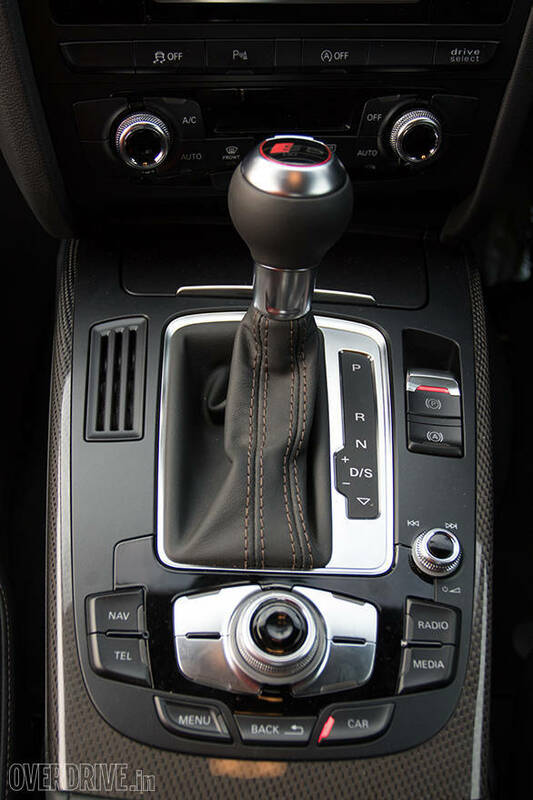 Like all the other Volkswagen dual-clutch transmissions, this one is swift and precise. 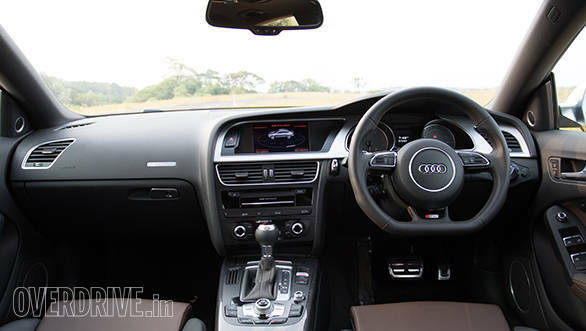 It also gets Audi's Drive Select with four modes - Efficiency, Comfort, Dynamic and Individual. In Efficiency and Comfort modes, the transmission relaxes a bit (doesn't get lazy though) while the exhaust quietens down. 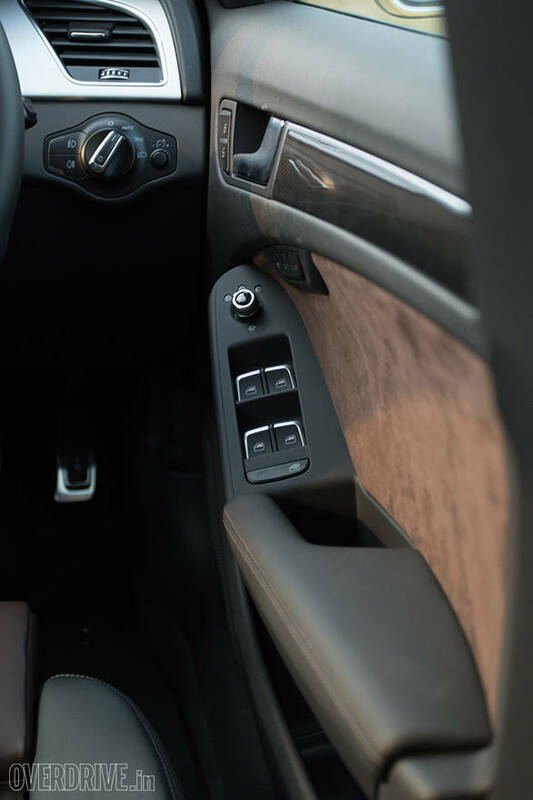 Turn the knob to select Dynamic mode, and the car wakes up immediately as the gear-shifts are served up later, the throttle sensitivity increases and the exhaust opens up fully to give a sharp bellow that instantly puts a smile on your face. For best results, switch to manual and use paddle-shifters. The car now gets larger discs that feel sharp and do a pretty good job of bringing the car to a standstill from three digit speeds. To improve efficiency, the S5 has been fitted with a brake energy recovery system that stores the kinetic energy for use by the alternator. The S5 Sportback, like all other Audis, is a very friendly car to drive - make a mistake and it'll cover up for you without a hiccup, thanks to the Quattro system. It does its job well and keeps the car stuck firmly to the ground, although you do notice a little understeer around the tighter bends. The big let-down though, are the 245-section Pirelli Cinturato tyres. Sure, these low rolling resistance tyres claim to help with the efficiency, but they were squealing like a stuck pig when I pushed them around the bends. To add to that, the car felt a little too light. At 1,820kg, it isn't, but over crests at high speeds, the car felt like it was almost taking off. Almost. Over roads that have a lot of crests and corners, this can be a little unnerving. But the fact of the matter remains that to get a car to take off, it takes a certain level of stupidity that most drivers, hopefully, aren't susceptible to. 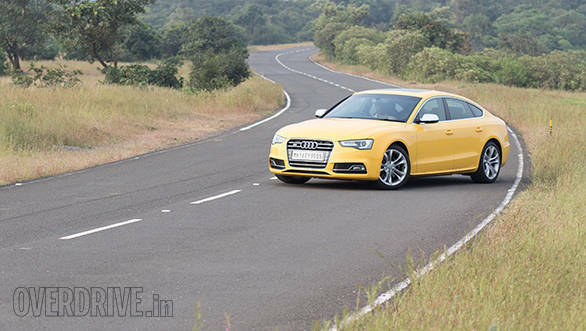 However, Audi has managed to find the sweet spot between sporty and comfortable with the S5's suspension. 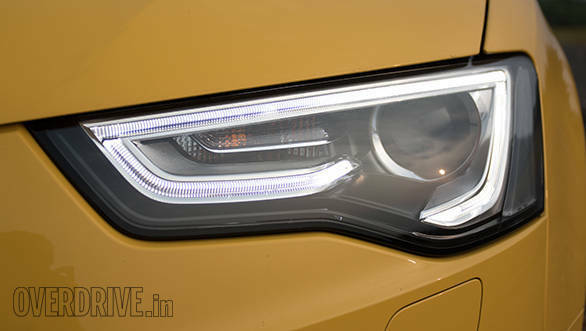 Although it doesn't get the adjustable suspension seen in the more expensive Audis, it is stiff enough to handle the windy roads without too much roll and at the same time, soft enough to allow a comfortable ride over all the bumps and potholes. Although the electric steering on the S5 is quite a delight to use in the city, the steering, like all electric power steerings, feels a little dead on the more windy roads. Sharp and precise, but lacking the kind of feedback a hydraulic unit would deliver. The S5 is a very good daily driver. And at 4718mmx2020mm, it's just 17mm longer and 20mm narrower than the A4. The S5 simply slips and slides its way through the gaps in traffic, leaving behind by larger SUVs that couldn't quite manage the squeeze. The electric power steering feels quite light, and especially in Comfort mode, the car feels almost as easy as a D-segment car to manoeuvre around in the city. While on the longer highway stretches, the artificial weighting did its job of improving confidence at higher speeds. The 333PS engine too, is quite easy to handle in peak-hour traffic as it isn't too edgy. 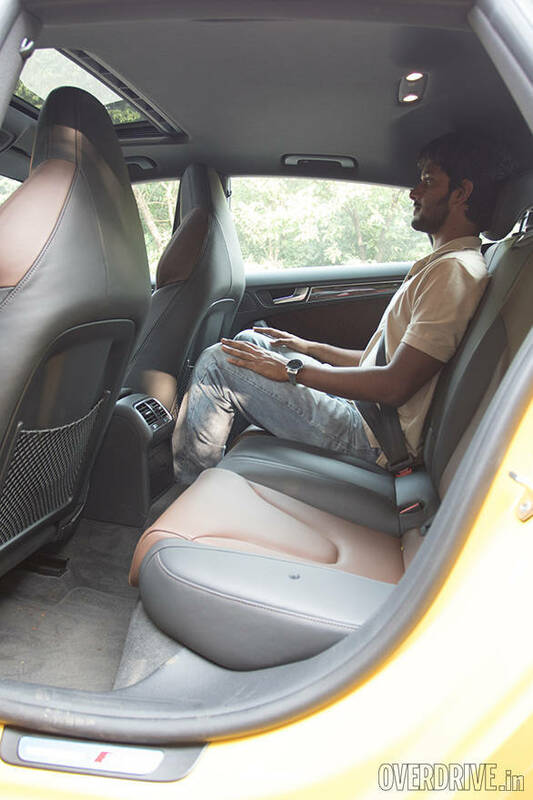 In Comfort mode, the car takes a deep breath and relaxes its muscles as the throttle sensitivity reduces. It doesn't get lazy, mind you, just a little relaxed. 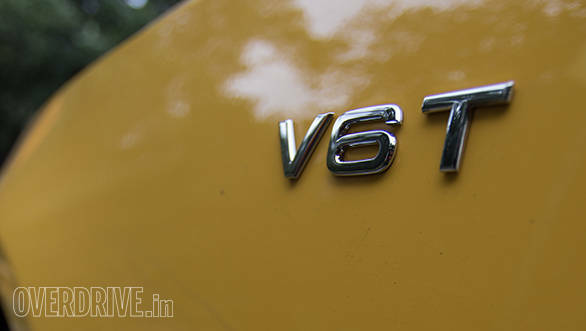 Audi has tried to make this V6 as efficient as possible too, with a claim of 12.28kmpl. However, I managed to average around 11.5-12kmpl on the highway and 10-10.5kmpl in the city, which is definitely not bad for a supercharged 3.0-litre V6. Although, don't expect the same figures with a heavy right foot. 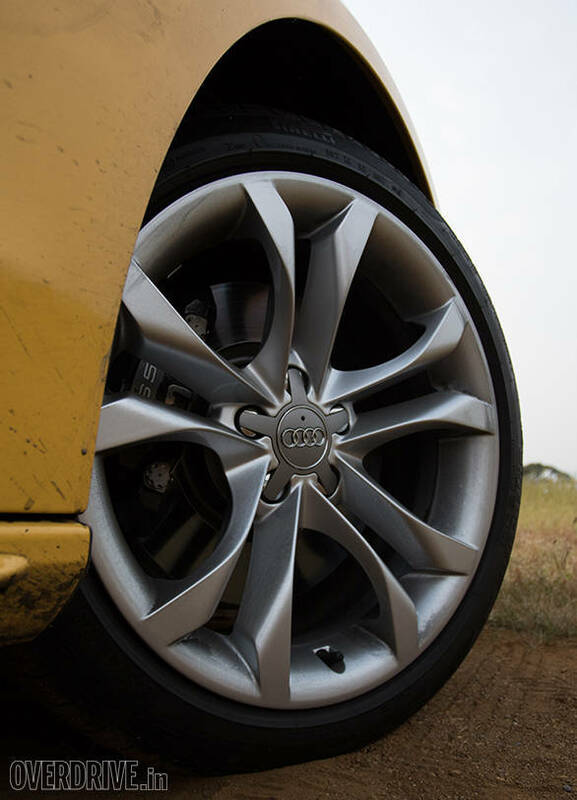 Another thing I quite liked about the S5 is that Audi has given it a more practical set of 18-inch wheels. This of course, means you don't have to sit at the edge of your seat, to keep an eye out for potholes and stones that could rip your tyre apart. 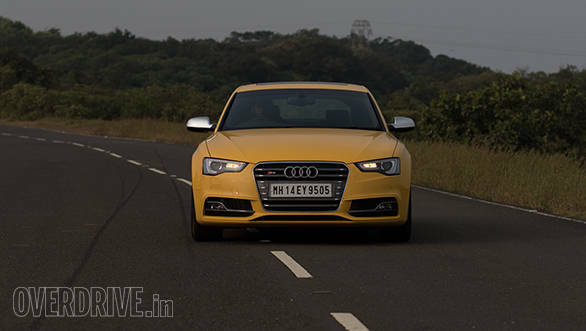 The S5 is a sharp looking car that could pass off as one of the more commonly seen Audis at first glance. 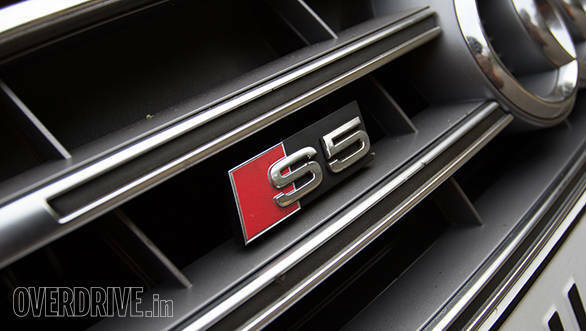 Pay closer attention and you will notice that the S5 Sportback gets a new platinum-finish front grille bearing the S5 badge while the rear gets a lip spoiler and quad-exhaust tips. 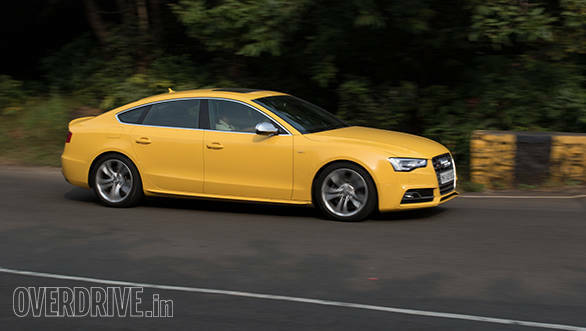 The car also gets skirting all around, 'V6 T' badges on the front fenders and platinum-finish ORVMs to help differentiate it from the regular A5 model. 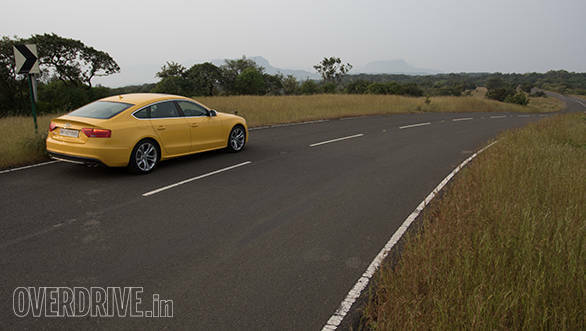 While the Sportback design on the S5 makes it quite the looker, the downside to it is headroom, or lack thereof. I'm 6-feet tall and I barely had enough space above my head, both in the front and rear. While leg-room seemed sufficient, the placement of the accelerator and brake pedals seemed too far up front, while the dead pedal is set so far behind that you don't even recognise it at first. 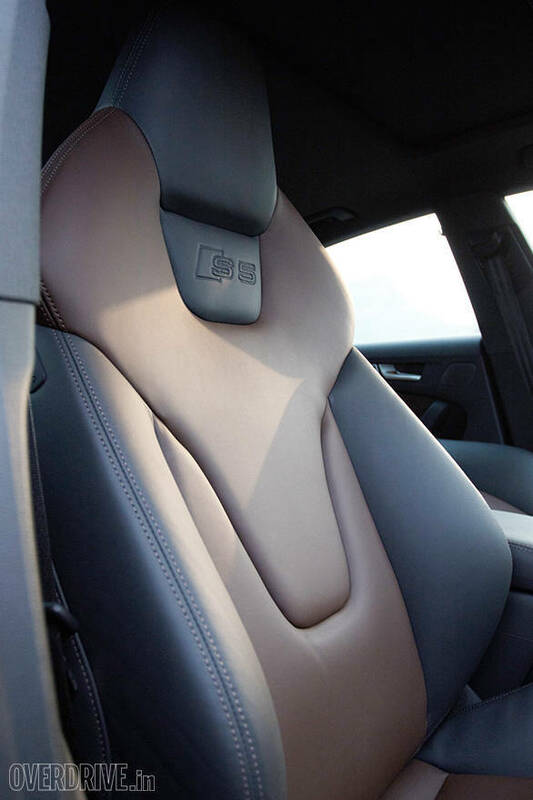 The sport seats on S5 get adjustable lumbar support and can be optioned with fine Nappa leather, but they don't quite manage to hold you in place, especially if you are of a smaller frame. The rest of the interior, however, is a nice place to be in with all the suede leather door panels, a flat-bottomed steering wheel and carbon fibre inserts. 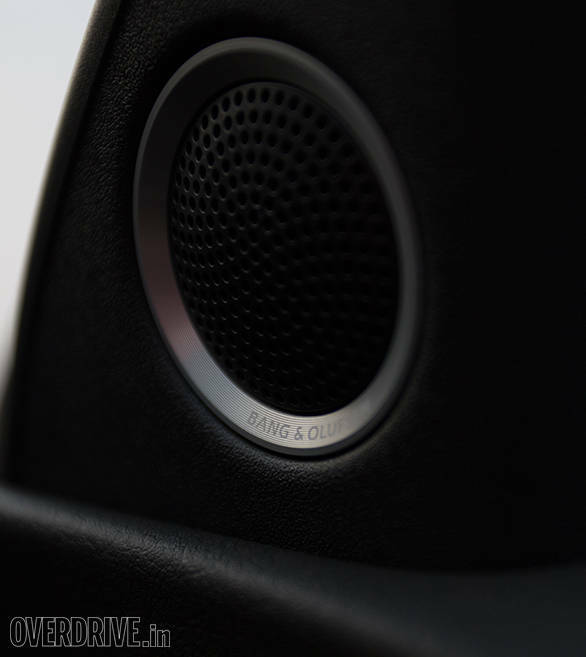 The S5 gets Audi's MMI integrated into a 7-inch colour display unit and a 14-speaker Bang & Olufsen sound system, with steering mounted controls and a handful of buttons around the gear selector. The MMI is fairly simple to use and the array of buttons might seem a little disorienting at first, but give it some time and you'll get the hang of it. In the safety department, the S5, like all German cars, is armed to the teeth. It gets eight airbags, anti-slip regulation, electronic differential lock, ESC, EBD and everything else you would expect from a car of this station. That's simple - the V6 soundtrack. The turbocharged 5-cylinder Audi Quattro from the 80s made quite an iconic soundtrack. In fact, it still manages to put a smile on my face every time I watch a video of the car tearing through a rally stage. It might be a little cheeky of me to say this, but the soundtrack of the S5's supercharged V6, at the more exciting end of the rev-counter, sounds a lot like those Quattros. Don't misunderstand me; it's a great car in a lot of other ways too, but with that howl at around 4,000rpm, it certainly makes a stronger case for itself.